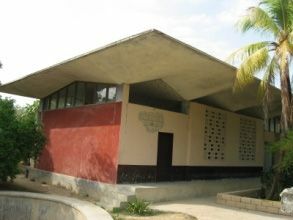 Haiti has a rich legacy of beautiful sloping reinforced concrete roofs with diverse shapes, including: hyperbolic parabolid, hyperbolic parabolid groin, folded plate, ribbed, hipped, and curved. Haitians normally complete the final storey of their houses by installing sloping concrete roofs, many of which survived the 2010 earthquake. I estimate that there are more sloping concrete roofs in Haiti than in all of the other Caribbean islands combined. 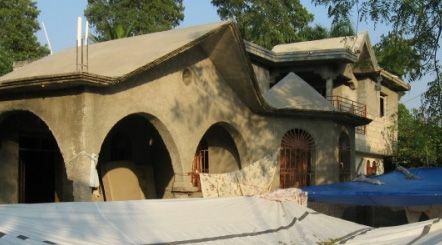 Since the 2010 earthquake, Haitians are being led to abandon their cultural building aspirations and accept less than appropriate house designs. Let me explain. The Caribbean is one of the most hazard-prone regions on Earth. Its inhabitants face the threat from a diverse set of natural hazards including: earthquakes, hurricanes, torrential rainfall, floods, landslides, tsunamis, volcanoes, and now the predicted negative effects of climate change. Once structures are built in the Caribbean, they become vulnerable to a diverse set of progressive weakening factors including: the corrosion of steel reinforcement, moisture penetration of timber, masonry, and concrete elements, and insect damage to timber frames. For these reasons, the Caribbean is one place where buildings should be constructed to be safe during natural hazards, and durable (less vulnerable to progressive weakening). There are a variety of effective masonry structural designs for houses built in the hazard prone Caribbean region. Some carry relatively low risks of failure because they are relatively simple to construct, and the building methods are relatively forgiving – meaning that small deviations from the design have negligible impact on the structural integrity of the building. They can also be constructed quickly, with less equipment resources, and are durable. The masonry structural designs that have generally been recommended for the construction of post-earthquake houses in Haiti are more risky, expensive, and time consuming to construct. The structural integrity and durability of the finished houses are highly dependent upon adequate construction equipment, skilled labour, and competent supervision. Small deviations from the chosen design can render the finished house unsafe during subsequent natural hazards and less durable. Our inspection of many of the houses built and/or supervised by United Nations (UN) agencies, Non-Governmental Organisations (NGOs), and the Haitian Government, confirms that the combination of the more risky structural design chosen and the construction methods used, have resulted in substandard permanent houses. These houses are typically vulnerable to: collapse during an earthquake, roof loss and possible collapse of the walls during a major hurricane, and high maintenance. During my first deployment to Haiti after the 2010 earthquake, the person who facilitated my travels around Haiti told me that the maid wanted me to inspect the house that she was renting. Requests to examine cracks in houses were commonly made to me through third parties like my facilitator, who could speak both English and Creole. The maid was renting the upper floor of a two-storey masonry house. Following my examination of the cracks that caused her concern, I determined that the house was structurally stable and would not collapse. When the facilitator explained my conclusion, I watched the fearful anxiety in her face melt into cheerful gratitude. I had seen this dramatic change in facial expressions many times in Haiti, and as at other times, it still filled me with immense gratitude for the opportunity to serve others in this way. As usual, persons from neighbouring houses swarmed, desperate to learn the determination of the structural engineer for the houses that they occupied. To the right of the maid’s house was a two storey masonry house that I determined to be stable. To the left was a two-storey masonry house that I determined to be unstable. During the night, there were after-shocks. When I arrived at work the following morning, the maid gave me a tight hug. The houses that I determined to be stable did not collapse. The one that I determined to be unstable had collapsed. The anxiety of the maid and her neighbours was similar to the Haitian government who was desperate for technical, management and financial assistance and solutions after the 2010 earthquake. Those building professionals soon convinced the leaders of the various UN agencies, NGOs including charities, and the Haitian Government to use confined masonry walls and lightweight roofs as shown below. I arrived in Haiti for my first of 7 deployments in February 2010. I believe that I was the lone structural engineer in Haiti advocating for concrete roofs and reinforced masonry walls. But it seemed that anyone who was not advocating “confined masonry” and “lightweight roofs” was not taken seriously by those responsible for directing donor funds towards permanent housing solutions in Haiti. Let me first address the lightweight roofs. All of the thin profiled metal sheets that I have seen on Haitian houses constructed after the 2010 earthquake are vulnerable to tearing at the connections during hurricanes. The torn metal roof sheet shown below (Hurricane Emile, Grenada, 2005) was significantly thicker than the thin sheets that I have seen commonly used in Haiti. Let me now address the confined masonry method. Confined masonry may be an appropriate solution for the solid brick masonry houses found in countries in Europe and Asia that that collapsed during recent earthquakes. However, in my opinion, the appropriate solution for the hollow concrete block masonry units that are typically used in the Caribbean is reinforced masonry. This reinforced masonry solution is detailed in the building codes of the Caribbean Community of nations (CARICOM) of which Haiti is a member. In order to facilitate safer building practices in Haiti, I suggest that consideration be given to the following. 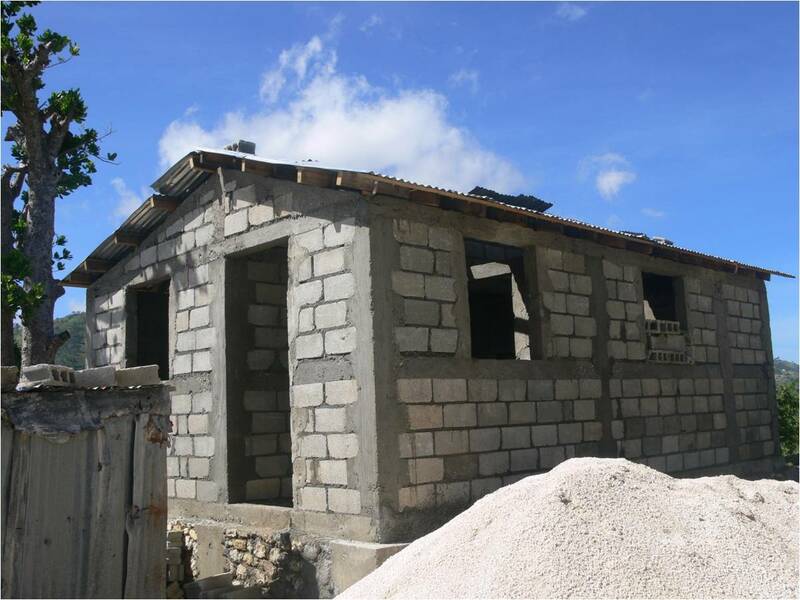 Sustain the legacy of beautiful sloping concrete roofs in Haiti, by facilitating technical assistance to help Haitians build their concrete roof structures safely. Urge the government of Haiti to critically examine the advice that they have received, and consider the more appropriate, less expensive, less risky, faster-to-construct and stronger reinforced masonry solution. Facilitate the effective training of Haitians to international building standards to facilitate the trade of their services in the Caribbean region. Following my 7th deployment to Haiti in November 2012, I remain convinced that our structural engineering assistance to Haiti should be directed towards helping Haitians build what they wanted, but in a manner that is economical, safe during natural hazards, and durable. None of us have a mandate to change their cultural building aspirations.